Everton and Man City are two of the biggest teams in the Premier League right now and they are about to come up against each other to see who will move on. In Goodison Park, Liverpool, the two sides will play to win on Wednesday 6th February – but which team will be good enough to make it to the next round of the premier league? To help you with placing your bet and deciding on a winner of this match, we have put together some betting tips. Keep reading if you’d like to find out which team, we think might be the winner when the whistle is blown. For the predictions that you’ll see in this article, we have put together information about previous matches, squad line-ups and considered the odds presented by the sports books online. While all of our predictions might not come true, we base them on real stats so you can use them as guidance to place your bet. Hopefully, you will end up winning a lot of cash and watching an eventful match. Everton and Man City last played against each other on 15th December 2018 which was fairly recently. The final result was 3-1 to Man City and with this recent defeat, Everton might be feeling the pressure to redeem themselves. Of course, the previous match that saw these teams come up against each other was held in March 2018 where Man City also won 3-1. If you are going to enjoy some sports betting for this match, make sure to bear this mind when placing your bet. While Everton might seem like the underdog for this match due to previous results, they are still a great team who have managed to win 8 matches in the season so far. This team is currently in 11th position which is quite far away from the 2nd position that Manchester City are currently sitting in. You should also bear in mind that Everton have managed to draw 6 matches with only 9 loses under their belts for the season so far. These are not the best stats, but they do show that this team has the potential to beat Manchester City if they are on form. The squad for Everton in this upcoming match is relatively impressive and is definitely something which you should consider when placing your bet. We predict that having Jordan Pickford on form in goalkeeper position will be a huge blessing to this team – but this is only if he improves on his recent performance. Also on the squad for Everton are defenders Kurt Zouma and Yerry Mina, midfielders Bernard and Andre Gomes and forwards Theo Walcott and Ademola Lookman. Make sure to take a look at the Everton squad for a full list of the players who will be taking to the pitch to face Manchester City. Man City are very near the top of the league table right now sitting in second place below Liverpool. If you were to place a bet, it might be wise to think about the fact that Man City have a total of 18 wins in the season so far with only 3 matches lost. This is quite impressive, and their stats speak for themselves. With 10 clean sheets over Everton’s 5 clean sheets, you could say that Man City stand a better chance of winning this upcoming match. Some of the impressive players on the Man City squad are Claudio Bravo and Everson in goalkeeper position, and Kyle Walker, Aymeric Laporte and Philippe Sandler in defence. You’ll also notice impressive players Fernandinho, Riyad Mahrez and fan favourite David Silva in the midfield. David Silva has been incredibly on form this past season, so we expect him to impress in this match against Everton. Look out for other Man City stars including Raheem Sterling and Gabriel Jesus appearing as forwards in the upcoming match. It is hard to predict exactly who will score in this upcoming Premier League match, but we can look at the current stats for the players on the squads. So far, Sergio Aguero and Raheem Sterling are tied in first place for the most goals for Man City with 10 each. Richarlison does have 9 under his belt, however, which has scored for Everton this season. Think about the goal scorers carefully and decide if you think they might come through on the day. Check the odds in advance as they might change closer to kick off. With any Premier League football match, there is always a chance that a team will have an off day and not come through. We predict that in this game, as long as they are on form that Man City might just be able to score a few more than Everton and move onto the next stage. Remember that our predictions are based on previous stats and we cannot guarantee that everything will go as we say. 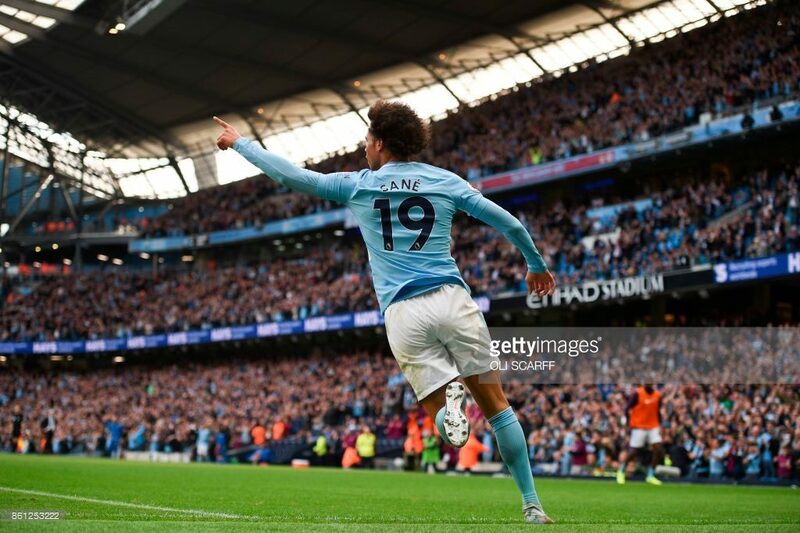 Of course, Everton does stand a chance as they have beat Man City in the past, but unfortunately, this was not the recent past, so they have a lot to prove. With goal scorers like Richarlison and goalkeeper Pickford on the squad, Everton might just be the winners. The Man City Vs Everton game is coming up relatively soon, so you need to make sure that you have put in your bet well in advance. Make sure to take on board all of the advice that we have given you in terms of placing your bet and make sure that you find the right sports betting site to place it on. The match kicks off at 19:45 so make sure to tune in or if you’re lucky enough to have a ticket for the match then you can have a great time and possibly even win some cash!